This is a directory of blogs related to learning Japanese as a foreign language. 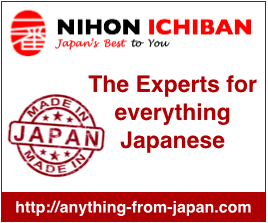 NIHONGO ICHIBAN – This blog provides a large array of information of students of Japanese with stroke order videos for characters, vocabulary lists, grammar and much more. Learn Japanese Adventure – This website provides basic information on Japanese as a foreign language. Zonjineko! – is a little Japanese blog teaching Japanese and also featuring photos from trips to Japan. Kanji Files – As the name suggests this blog is focussing on learning kanji posting about one kanji at a time. Feel free to check out http://www.kabashinkansen.wordpress.com for my blog on do-it-yourself accelerated Japanese study. My website also covers basic Japanese vocabulary and grammar, as well as lots of videos and an online vocabulary trainer. Check it out at http://app2brain.com/learn-languages/japanese/. I’m glad to hear your feedback!